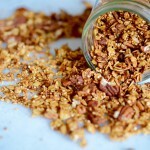 Make your own granola! It’s much healthier. I sprinkle it over my oatmeal or eat it with some almond milk or atop my chia pudding. 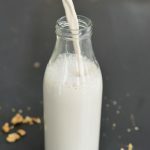 It’s satisfying and very nutritious and is free of refined sugar and other additives. Now that’s a good breakfast! You can add anything you’d like, like cranberries, dried banana and apricots! Preheat oven to 320 degrees Fahrenheit (160 Celsius) and line a large, rimmed baking sheet with parchment paper. In a large mixing bowl, combine the oats and seeds, vanilla and salt. Stir to blend. Pour in the oil and maple syrup. Mix well, until every oat is lightly coated. 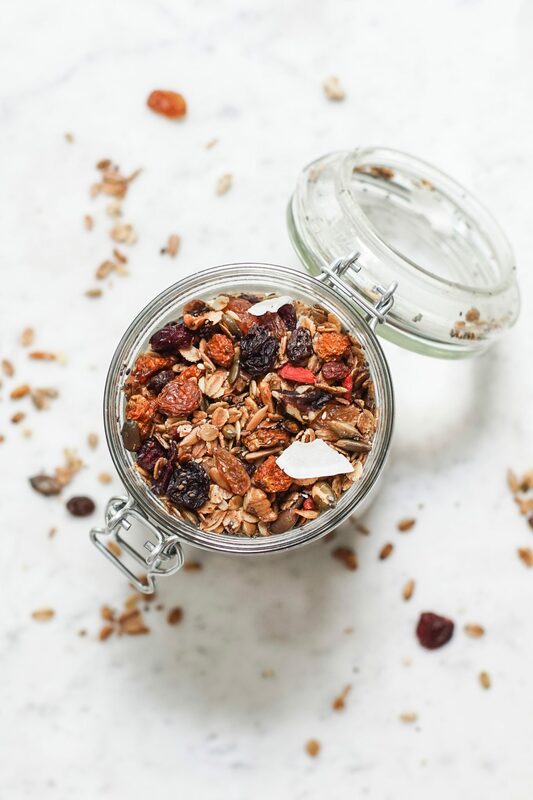 Pour the granola onto your prepared pan and use a large spoon to spread it in an even layer. Bake until golden, about 30 minutes, stirring halfway. Add the nuts in the last 10 minutes. The granola will further crisp up as it cools. Let the granola cool completely, undisturbed, before breaking it into pieces and stirring in the dried fruit. 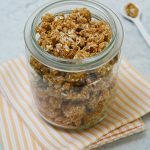 Store the granola in an airtight container at room temperature for one month or in a sealed freezer bag in the freezer for up to 3 months. Delicious! Yourself should in direction of be a component of a contest for 1 of the greatest excellent internet websites upon the world-wide-web. I’m likely toward suggest this website!